No maintenance needed, leave these benches outside all year. These 2 seater benches are much wider than a traditional wooden bench, with plenty of room for two people, with some extra elbow room! They come in a range of colours, all with the traditional vertical slats. 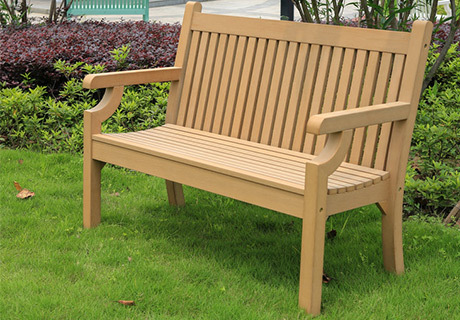 These large garden benches are ideal for sitting several people on your lawn or patio area. They’re very durable, being made from the Winawood weatherproof material, and they come in a range of colours including teak, brown and green. Winawood is an innovative new solution for those wanting the look and feel of traditional wooden furniture, but without any of the classic downsides such as maintenance through oiling or the bench rotting and falling apart. It’s made from compressed plastics, which allows it to be durable and feel natural. 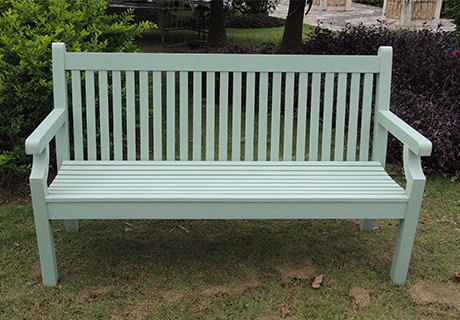 Recycled plastic benches are reduced maintenance, readily available in a selection of shades as well as designs, as well as are appropriate for any type of environment, consisting of typically-corrosive salty, sea side facilities. Recycled plastic parts can differ based upon the maker, yet it is widespread that a high percent is post-consumer product and will certainly contribute to LEED accreditation. For these reasons, they are commonly found at a large range of venues, including convention facilities, office buildings, colleges, retail facilities, institutions as well as stadiums. 10 Brand New Varieties for 2016!